Go here to post your Film Commission. Film Indiana's mission is to showcase the state's talent and resources to local and out-of-state companies seeking information and assistance with commercial, film, and television production. The mission of Film Las Cruces is to promote and develop the film, media, and entertainment arts industries in Dona Ana County. The mission of Film New Orleans is to create opportunities and systems that enable true economic activity and growth for cultural economy stakeholders and the public. Film North Florida is the official website of the Film Liaison of Escambia County and is part of the tourism and visitors bureau. Selective local businesses offer 10, 15 to 20% off of services and items when you mention FilmPOMONA. LMGI members now get 20% total of invoiced services. View Tucson in a whole new way - explore the distinctive landscapes and unique filming opportunities that southeastern Arizona has to offer. Film Tucson is here to assist in all local filming needs, ensuring an efficient and successful production. Our responsive team is dedicated to bringing more film and TV productions to the hundreds of film professionals, service providers and hospitality partners throughout our region. We offer diverse locations and are close to major metro areas like NYC, Boston and Montreal. Film Wisconsin is a non-profit organization dedicated to growing the film, television, commercial and electronic game industries in Wisconsin. Its goal is to grow these industries infrastructure here in the state, as well as encourage investment here in Wisconsin from outside of the state. Film Wisconsin is a 501(c) (6) non-profit organization, that works with the Department of Tourism and other community partners to highlight the benefits of our state to the entire film and multimedia community. It is run primarily by a volunteer team of industry professionals that has a passion for filmmaking and multimedia production here in Wisconsin. Film Wisconsin took the lead in developing the state's original incentive legislation that was signed into law in 2006, after receiving overwhelming bi-partisan support by the state's Legislature. These incentives were reduced and then ultimately eliminated in subsequent budget cycles. Film Wisconsin is now actively working to find new and innovative ways to grow and expand this incredibly dynamic industry and encourage the positive economic and social impact that it can create. LOCATIONS: No general permits are required for filming in Wisconsin and location fees are generally modest. Special Events Permits, when required, are used for closing a street or some other public facility. Permits may be required in City, County & State Parks and Forests. The Film Office can advise on specific requirements. Film Wisconsin is a unique non-profit organization and public/private partnership working to create thriving Motion Picture, Television Production, and Video Game industries in the state. The Ohio Motion Picture Tax Credit provides a refundable tax credit against the corporate franchise or income tax for motion pictures produced in Ohio. The Ohio Motion Picture Tax Credit provides a refundable tax credit that equals 30 percent of in-state spending and wages on eligible productions. FilmDayton promotes and markets the nine county region, in order to recruit and facilitate the production of film, television, commercials, corporate videos, music videos, and documentaries, as well as emerging forms of media. Film Commissioner Lisa Grigsby explains, " in simple terms, the film commission acts as a concierge service for productions interested in using the Greater Dayton region as a backdrop." It's been a long time coming, but as FilmDayton Board President Shaunn Baker shares, "the commission has been a goal since the organization started in 2008, and I'm glad we've finally made it happen." The Dayton Region has many assets ready to help make your film successful! We understand your needs for a location big enough to get the job done right, but small enough to offer accessibility, affordability, and authenticity. Ohio's tax incentive program saves you money. FilmDayton helps get you the permits and connections you need. Check out our FREE Production Permit. Location, location, location: At the crossroads of Interstates 70 and 75, Dayton is convenient for talented cast and crew from Cleveland, Indianapolis, Pittsburgh, Cincinnati, Columbus, and other Midwestern cities. Plus - the Dayton International Airport is within 90 minutes by air to 55% of the country's population, ideal when a quick flight is necessary. Need to set up an office ASAP? FilmDayton works with local property owners to get you the space that fits your needs. Complete our Production Office Questionnaire and let us connect you. Dayton is home to talented local cast and crew, and FilmDayton helps keep their skills strong with ongoing professional development workshops. Plus, Wright State University - based in the Dayton Region - can boast one of the top Film Production Programs in the country. These talented students and graduates can support your project. Don't break the bank on lodging, food, transportation, and other expenses that fluctuate with location. Dayton's cost of living is 27% lower than the U.S. average - which lets you spend a little more on the things that really matter for a successful film. Let us help negotiate some great deals for you. Need a city skyline? Maybe a farmhouse on a large empty field? Need secluded woods? Need urban grit, suburban neighborhoods or historic elegance? The Dayton Region can provide all this and more - most within a 20 minute drive! See our locations database. PLUS - you get a little hometown charm. Your cast and crew can either blend into daily life for anonymity or enjoy the accolades they deserve when out and about. Assembly Bill 1839, the California Film & Television Job Retention and Promotion Act, is run and maintained by the California Film Commission. FilmL.A. is a private, 501(c)4 not-for-profit organization established for the public benefit. We coordinate and process permits for on-location motion picture, television and commercial production under contract to an ever-increasing roster of public-sector clients in the Los Angeles region. All permits are issued by the authority of and in accordance with the policies of each client jurisdiction. In today's highly competitive, global entertainment production market, our services help the Los Angeles region retain its status as the entertainment production capital of the world. The Fort Lee Film Commission can assist in location scouting, expediting police and parking requirements, and providing information on sites available for shooting. Fort Lee, NJ is the birthplace of the American film industry and the first American film town. Here studios such as Universal and Fox were born in the early 20th century. Fort Lee, NJ was the center of film production from 1908 trough WWI. Alice Guy Balche's, the first woman director in world cinema history, built her studio Solax here in 1912 and directed, produced and wrote hundreds of films here before women in America had the right to vote. We can provide one stop shopping for any filmmaker, large or small, who wishes to use our varied locations, from the cliffs of Fort Lee's Palisades, birthplace of the Cliffhanger, to our residential streets and parks. Full-service regional film commission (FLICS member), available 24/7 for assistance with location scouting and as a liaison with local businesses, government and regulatory agencies. The Giles Film Office's role is to assist the production company on the community level by connecting them with the local services that they require for their film project. The State of Colorado offers film incentives for hiring and using Colorado talent. From accessible waterfalls to mountain roads, from upscale mountain homes to Victorian architecture, from underground caverns to majestic mountains, this area has it all.Home of the World's Largest Hot Springs Pool and Glenwood Caverns. Tax rebate of 30% on all qualifying Ohio expenditures, with a minimum spend of $300,000. $40 million annual cap. No per-project cap. The vision of the Greater Cleveland Film Commission (GCFC) is to achieve increased economic development in Northeast Ohio by using the artistic and culturally enriching activities of film and other media production to strengthen the workforce, support the media production industry and attract media production to the region. Pennsylvania will provide up to a 25% Film Production Tax Credit for film production expenses incurred in the Commonwealth. In order to qualify for the tax credit, 60 percent of the total production expenses must be incurred in Pennsylvania. A qualified PA expense is a production expense that is subject to PA taxes. There are no per project minimums and no per project caps. Qualified projects will be awarded credits available under the $60 million tax credit. Applications will be considered in the order in which they are received. Projects eligible for tax credits under the Program include: the production of a feature film, a television film, a television talk or game show series, a television commercial, a television pilot or each episode of a television series intended as programming for a national audience. Applications may be filed no sooner than 90 days prior to the start date of principal photography in the Commonwealth. The Commonwealth will be reviewing and approving application packages within a 90 day period: July 1st through September 30th; October 1st through December 31st; January 1st through March 31st; and April 1st through June 30th. Except for extraordinary activities, no department or agency of the Commonwealth of Pennsylvania may charge a fee or other cost, except the actual costs incurred by the affected department or agency, for the use of State-owned property for the purpose of making commercial motion pictures. The Greater Erie Film Office fosters awareness, appreciation, and understanding of the art of film while providing assistance, support, and education for regional film production. Since 2014, The Greater Erie Film Office (GEFO) has been Northwestern Pennsylvania's only State recognized film office with Association of Film Commissioners International (AFCI) membership and credentials. They want to rely on a local film commissioner who truly understands their needs and can make filming in the region a success. Offering unique local insights coupled with global production capabilities, the AFCI and its more than 300 Member Film Commissions are consistently regarded by the industry as top-notch, trusted resources. The Greater Erie Film Office is devoted to the business of facilitating film and television production activity, which generates billions of dollars annually. We provide invaluable tools for industry decision makers searching for the right location, production resources, and getting the most for every dollar spent. The Greater Fort Lauderdale/Broward County OFE may provide a cash rebate for qualified production expenditures of up to $150,000 for film, TV, commercials, Independent & Emerging, music video and still projects. The incentives are awarded to projects filming and housed for the duration of the production in Broward County. These rebates are limited to a first come, first serve basis. Project completion, Pre production budgets and post production reconciliation budget will need to be provided to the Greater Fort Lauderdale/Broward Office of Film & Entertainment for receipt of rebate. Projects must have proof of financing prior to applying. The CVB's Office of Film & Entertainment reserves the right to disqualify projects at anytime should agreed upon requirements not be met and delivered. For further details on the rebate program for each queue, contact Noelle P. Stevenson, Vice President, Film, Music, Entertainment & Creative Industries, Greater Fort Lauderdale/Broward Office of Film & Entertainment at 954-767-2440. We are pleased to provide professional assistance to production companies that are interested in, or have chosen, Greater Fort Lauderdale/Broward County for a project. Assistance in obtaining permits where needed. Film permits are required for production projects on public property in Broward County. There is no fee for Broward film permits. Depending upon the scope of the project, specific permits may be necessary, such as: tent, pyrotechnic, firearm, or environmental. A Certificate of Insurance which additionally insures the municipality in which you choose to work is also required. Production offices and sound stages. Greater Fort Lauderdale was voted Best Studio and Warehouse Space in South Florida. We provide a Preferred Production Pass (P3) for your executives and crew, with access to special values and offers from more than 50 local vendors, during your stay. Georgia's Rome & Floyd County are recognized as one of 16 counties in the state of Georgia that are Camera Ready Communities! This certification means the Greater Rome Convention & Visitors Bureau is prepared to scout locations and host successful filming productions. The State offers a 25% tax credit to qualified productions on Hawaiii Island. That is 5% MORE than what you will get in Honolulu, Oahu! Hawaiii 's Film incentives are generous and straightforward including more than you can get from other locations around the world. The Hawaiii Island tax credit is extremely generous including above-the-line and non-residents with a minimum spend of $200,000 and a maximum credit of $15,000,000. With our advanced connectivity through private fiber, it is time to rethink Hawaii Island for your post production needs. Take advantage of our tax credit for post, vfx, and utilize our remote collaboration tools! Hawaii Island offers a diverse landscape that can double for locations from all around the world. The Hawaii Island Film Office is standing by to help. Enjoy direct flights and close proximity to the Mainland US. Put your talent up in some of the best hotels and resorts in the world, just minutes from set! Push your dailies back to the studio real-time with our private fiber! The Haywood County Tourism Development Authority has officially revived the Haywood County Film Office. Becky Seymour, Video Marketing Manager of the Haywood TDA, is determined to draw more TV and Film Production to Haywood County. The Haywood County TDA is currently working side by side with Advantage West, out of Asheville, and supplies information on Haywood County when presented with Location requests for TV and Film. The City of Hermosa Beach welcomes businesses and individuals that wish to engage in commercial filming, videotaping or still photography. 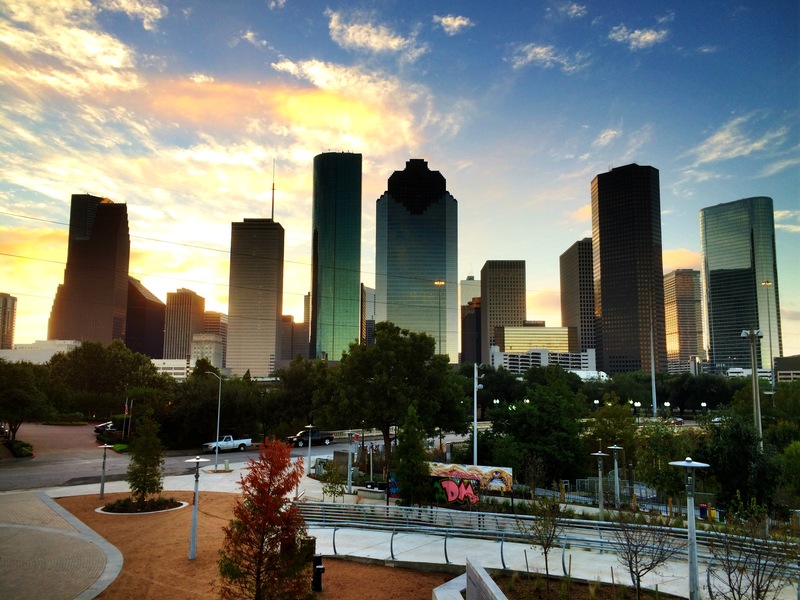 The Houston Film Commission is ready to assist your film/video production in the greater Houston & Harris County area. The Hudson Valley Film Commission is a not-for-profit, 501c3 organization that promotes and creates sustainable economic development by supporting and attracting film, video and media production in the Hudson Valley and Catskill counties of Columbia, Delaware, Dutchess, Greene, Orange, Sullivan, and Ulster. The Humboldt-Del Norte Film Commission is here to help with your production needs and our services are provided free of charge. In December of 2008 the Illinois General Assembly passed the Illinois Film Production Tax Credit Act, which offers producers a credit of 30% of all qualified expenditures, including post-production. The Illinois Film Tax Credit will not sunset until May 2021, and is renewable in 5-year increments, thereafter. The goal of the Tax Credit Act is to attract local vendors, union leaders and filmmakers to the Illinois film industry in order to promote growth and job opportunities. In addition, the tax credit aims to stimulate diversity in production hiring. For questions about the Illinois Film Services Tax Credit please contact Cesar.Lopez@Illinois.Gov. - 30% of the qualified Illinois Production Spending. - 30% credit on Illinois salaries up to $100,000 per worker. - Tax credit can be carried forward 5 years from when originally issued by IFO. - The Illinois Film Tax Credit will not sunset until May 2021, and is renewable in 5-year increments, thereafter. - Applicants will receive an additional 15% tax credit on salaries of individuals (making at least $1,000 in total wages) that live in an economically disadvantaged area (at least 13.8% unemployment). Illinois is a world class film destination! Check out our locations, from the beautiful, iconic Chicago skyline and 58 mile lakefront to the gritty back alleys and unique historic neighborhoods. The Mission of the Imperial County Film Commission (ICFC) is to attract motion media companies to Imperial County, maximizing the county's economic potential by promoting location, accommodation, services and talent from the area. The ICFC also seeks to effectively mediate the permitting process between private owners, federal, state and local agencies and the motion media industry. This office is charged with the task of expediting all permit requests and ensuring both your production and our local community benefit mutually from the experience. The Duval County Tourist Development Council offers grants on a case by case basis for productions that have a substantial hotel room night impact in Duval County (Jacksonville, Atlantic Beach, Neptune Beach & Jacksonville Beach). Please contact Todd Roobin, Film Commissioner @ troobin@coj.net. The Film & Television Office assists local and visiting productions with facilitating permits, provides preliminary location scouting and engages the local workforce and vendor resources. KCMO Film Development Program is a rebate incentive. Eligible productions can earn a rebate up to a 10% for qualified Kansas City, Missouri expenditures. There is no per project cap. The program is offered on a first come, first considered basis. 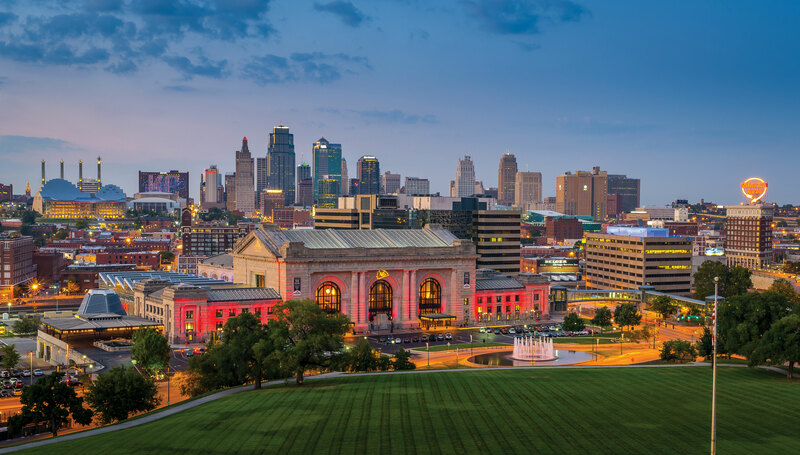 Kansas City Film Office provides expert support for productions that film in the Greater KC area with professional crew and equipment resources, locations database, scouting support, and is your liaison for city and area municipalities. We are your first point-of-contact for filming in the Kansas City area. Our crew list is a resource of experienced and qualified professionals available to work on productions filmed in the Greater Kansas City area. The Kansas Department of Commerce Film Commission offers liaison services with state, local, and federal agencies as well as private individuals. Klamath County offers untapped vistas of high desert and mountain landscapes, an art deco downtown Main Street, and small agricultural communities that could be the perfect stage for your next film-making project. In Lake Charles, our focus is on your production. From Gulf beaches to alligator filled marshlands, to colorful personalities, we're got you covered. With delicious Cajun cuisine and fresh Louisiana seafood, you won't want to leave! You haven't truly shot Louisiana until you've been to Lake Charles. Services: Location scouting assistance, research, liaison to and among community, production companies and government, on-call problem solving. Filming in the Livermore Valley / Tri-Valley is great because we have: One stop permitting; An experienced staff that breaks down scripts, scouts locations, facilitates permits, and stays with projects during production; Empty mansions, warehouses and industrial parks in addition to neighborhoods that span every economic level and look; Charming downtowns that can be shot for any town USA; Modern office buildings; One of the largest wind farms in the country; Rural sites and beautiful vineyards; County jail open to shooting; National laboratories which have been used for filming; The experienced crews of Northern California; County fair grounds; An abundance of hotel rooms and restaurants close to all locations ranging from top of the line to more moderate crew facilities; Livermore Valley is located 20 minutes east of Oakland International Airport. The Office of Special Events and Filming is the bureau within the City Manager Department responsible for permitting all special events and film productions within the City of Long Beach. Film permits are required for any commercial production filming or still shoots within the Malibu city limits. We are here to help you find the perfect location for your project and assist in finding the correct contact for permitting. FilmMarin represents eight Marin cities, county unincorporated areas, State and National Parks, with up-to-date permit and contact information. The Martin County Film Office is an adjunct of the County's Administration Department and Tourism and Marketing Office. Our purpose is to provide quick turnaround permitting for use of County-owned lands, properties, and beaches. There are no fees for our services; however liability insurance coverage extension is required. Virginia's motion picture incentive package is comprised of two separate performance-based incentive funds. Awards will be made to qualified film, television, documentary or commercial projects based on several factors including length of filming in the Commonwealth, jobs created, trainees hired and Virginia goods and services purchased. The Martinsville-Henry County Film Office works in partnership with the Association of Film Commissioners International, the Virginia Film Office and Reel Scout to promote Martinsville-Henry County and the amenities that the community has to offer filmmakers and production companies. Massachusetts provides filmmakers with a highly competitive package of tax incentives: a 25% production credit, a 25% payroll credit, and a sales tax exemption. Any project that spends more than $50,000 in Massachusetts qualifies for the payroll credit. Spending more than 50% of total budget or filming at least 50% of the principal photography days in Massachusetts makes the project eligible for the production credit and a sales tax exemption. Program requirements are straightforward. There are no annual or project caps. No residency requirements. No extended schedule of credit payouts. The payroll credit includes above- and below the line; the production credit includes out-of-state production expenses. Credits can be cashed out with the Commonwealth of Massachusetts at 90% of face value after satisfying tax liabilities, or can be transferred at market rate. Credits can be used for up to 5 tax years. With 351 cities and towns, Massachusetts offers extraordinary locations from country quaint to ultra modern, seaside to mountainside, and every period from the 1600's to the present and beyond. We have welcomed hundreds of feature films, both studio and independent, commercials, and television productions throughout the Commonwealth over the past several years. We understand the level of effort it takes to get a production up and running and the Massachusetts Film Office is here to help from development through post production. Aid in recruitment and assistance for all types of production. Longest serving film commission staff in the country.